Every frequent traveller fears it: Long layovers and flight delays! There are few things as boring as being stuck at the airport waiting for a plane. You can’t leave the airport, and you have nothing to do. So, you need to get creative to keep yourself entertained. 1 Go shopping: Don’t question whether you are actually saving money on purchases of duty free goods. Just pretend your credit card has no limit (or borrow your boyfriend’s credit card). 2 Sing and dance like nobody is watching: Take on your headphones, select your favourite playlist and go wild. This might even be a way to refinance your airport shopping excess. Just pass your hat around to collect money. 3 Eat as much as you can: Check out the food court and go for the unhealthiest junk food you can possibly find. Don’t count calories. Don’t forget to order dessert. Bikini bodies are overrated anyways. 4 People-watch: This actually means checking to see if there are any attractive people around. As soon as you spot a hot guy/chic, make yourself believe that you’re the most magnetic person in the whole airport and try a stupid pick up line (such as “Do I know you? Cause you look a lot like my next girlfriend/boyfriend”). 5 Create a Facebook Story: We all agree that Facebook Stories is the most annoying social media feature ever. You never used it? Now it’s the perfect time to give it a try and annoy your friends by showing how “exciting” it is to wait at the airport. 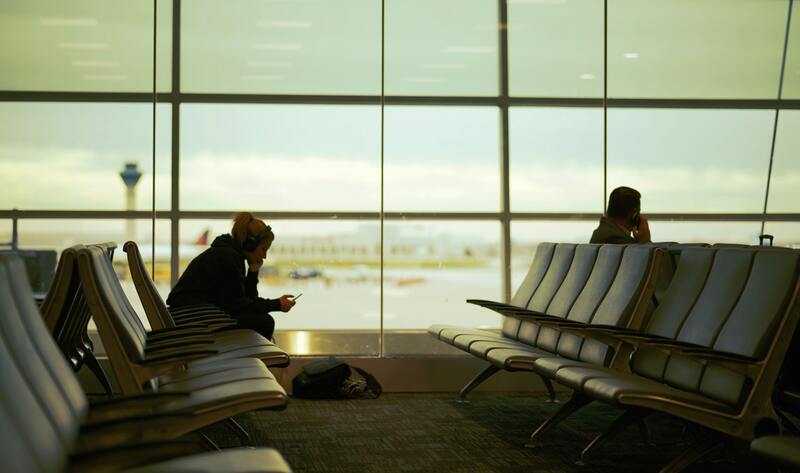 6 Update your latest FindPenguins trip: Finally, a useful tipp to kill time at the airport. Check out your FindPenguins profile. Update your latest trip and order a photo book with all your travel pics, routes, stats and comments. 7 Discover your next travel destination: It’s never to early to start planning your next trip! Get inspired by the FindPenguins community’s adventures. 8 Last but not least: Take a nap. Make sure to not oversleep your flight’s departure though. FindPenguins Version 3 Is Here! New Zealand with kids: Discover one of the world’s best family holiday destinations!